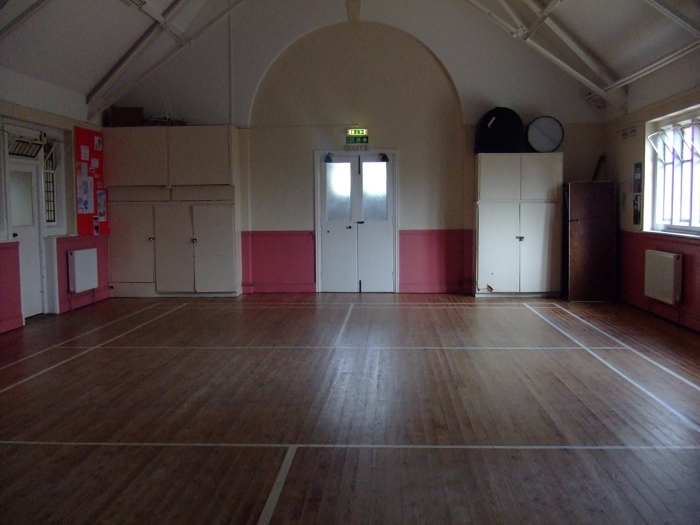 There are various groups that use the church premises during the week such as the Southampton Square Dance Club, Aerobics and an Accordian Band. 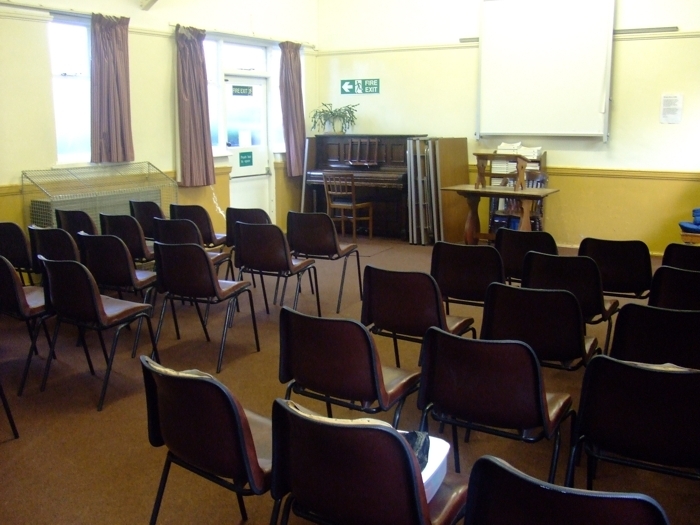 The premises are available for hire by groups in the community at the discretion of the Church. There are two halls, one with a stage, and a kitchen. All premises are non smoking, and the consumption of alcohol is not permitted. For further enquiries about hiring any of our halls then please contact our Lettings Officer. 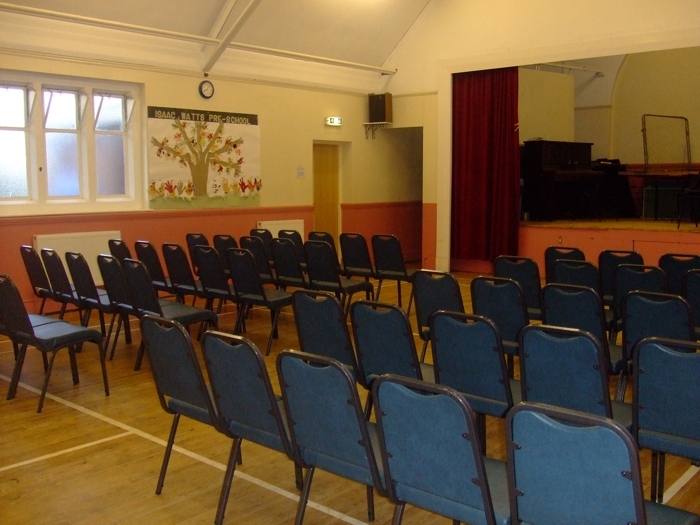 The church hall is approximately 12.5 metres by 8 metres and includes a staged area to one end with a piano. It will seat 100, sitting in rows, and there is a badminton court (not full size) marked out on the floor. There is direct access for the disabled, to both halls from the car park and access to the kitchen area. This is the smaller hall measuring 8.5 metres by 6.2 metres. It has carpet and curtains and is equipped with a projector screen for presentations and a piano. It will accommodate 50 sitting in rows. There is access to the kitchen and the carpark off Luccombe Road. 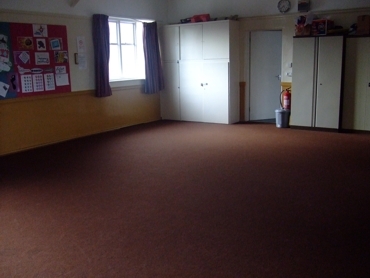 There is a kitchen which can be accessed from both halls and is available on a shared basis to all hirers.